In June 1999 the Mid West Development Commission held a youth forum to encourage young people between 18-30 years of age to become involved in regional development. At that time the most important issue to emerge was lack of access to university education in the Mid West. During 2000 the Geraldton University Access Group (GUAG) was formed and in June 2001 a delegation from GUAG (Lee Morton, Felicity Mitchell and Tony Brooker) travelled to Canberra, with the support of the Hon Wilson Tuckey, and lobbied the Federal government for regional allocation of university places. The delegation was successful and set an Australian first with university places allocated specifically for Geraldton. 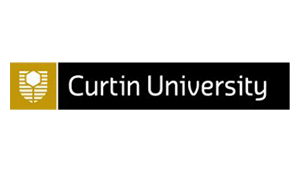 The University of Western Australia, Curtin University of Technology and Edith Cowan University formed a consortium to bid for the Geraldton university places, with the University of Western Australia taking the role of Administering University. In November 2001, the hard work and dedication by organisations and individuals paid off as the Geraldton Universities Centre was established. In 2006 the Hon Wilson Tuckey officially opened the Mid West’s own purpose built facility in Geraldton. The GUC became the independent, not for profit, incorporated body we see today in 2010. This gave GUC the flexibility to negotiate with universities throughout Australia to expand the range of locally supported university courses available. $3millon in Royalties for Regions funding, allocated as part of the Mid West Development Commission’s Mid West Investment Plan, allowed for construction of GUC’s Stage 2 building. Opened in 2014, the Stage 2 facility doubled GUC’s teaching capacity with five additional classrooms as well as storage, toilets and hospitality areas. $1.05 million in funding was allocated over three years through the Regional Development Council’s Action Agenda Funding Scheme for the “Growing GUC through to Sustainability” project. The project provided funds for the increased academic, coordinating and support staff to run new programs at GUC as well as the technologies and course resources to ensure an equitable learning experience for local students. The funding also allowed the GUC to employ an Aboriginal Student Support Officer to conduct outreach programs to encourage and support more Aboriginal students in university study. 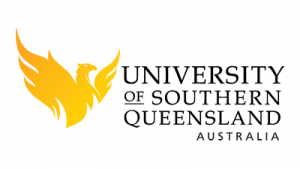 In November 2018, the GUC received $1.8M from the Australian Government in support of regional higher education. The $1.8M will enable GUC’s Growth and Regional Impact Project – to expand facilities as well as provide additional staffing and resources for new courses and student support services. The Growth and Regional Impact Project will see GUC bring on additional university partners and increase courses and student numbers. The funding will support Curtin University’s new Associate Degree in Agribusiness, and assist with the development of a graduate entry midwifery program, and dedicated programs and space in support of Aboriginal students. The funding will also enable an extension to Building B to provide more classrooms, and offer 24 hour access to student study areas.